Interserve, the international support services and construction group, has a secured a £7.75 million contact for the extension and partial refurbishment of South Cliff Holiday Park in Bridlington for East Riding of Yorkshire Council via the YORbuild framework. 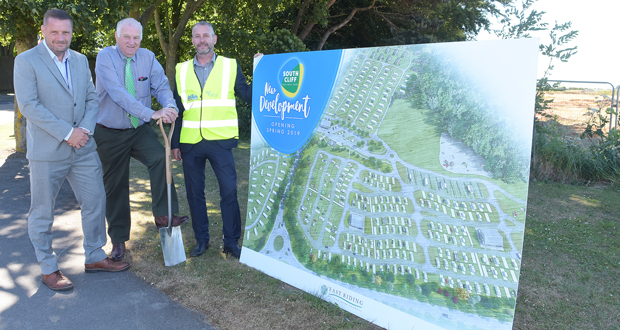 The scheme will see the redevelopment of the caravan and camp site and will provide new amenity buildings such as toilet blocks, a new reception building and office accommodation as well as creating new pitches for tenting, touring, glamping, static caravans and lodges. Upgrades and refurbishment works will also be carried out to the existing caravan and camping site to improve the visitor experience. The YORbuild Employment and Skills Plan that will be delivered by Interserve as part of the project will ensure that opportunities for training, apprenticeships and work experience placements are available for local residents, along with assisting the unemployed back into work. The expansion of the park will also provide a boost to the wider Bridlington economy with an estimated 158,280 additional visits made to the town each year. This is estimated to increase visitor spend in the wider economy by around £4.2 million per year. “We have previously completed works on the site and are delighted to have been appointed to deliver this next phase; we look forward to continuing our long-term relationship with the East Riding of Yorkshire Council, a forward thinking authority that continues to invest in its facilities.